1-Metal pin surface is well plated,no indentations, scratch, front, distortion, defects, oxidation, US pin's specifications meet safety requirements. 2-The surface shell and bottom case‘s ultrasonic welding must be stable any gaps ≤0.15mm, drop test performed without cracking at 6 feet. 3-No scratches on shell, miscellaneous points, burrs, shrinkage, color is same as requirements, no obvious color differences throughout. 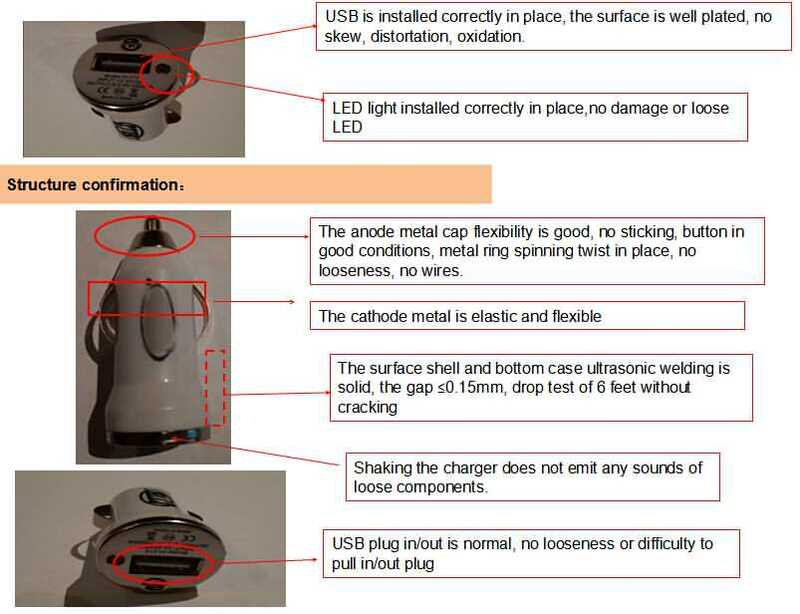 4-USB is installed correctly, the surface is well plated, no skew, loose plastic flakes, distortation or oxidation. 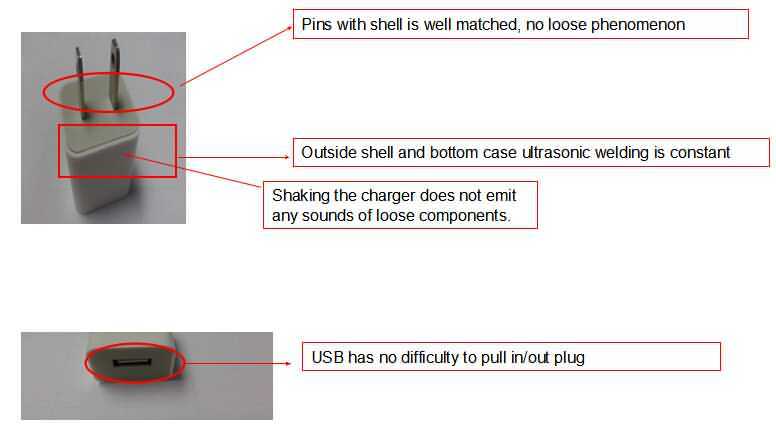 7-Shaking the charger does not emit any sounds of loose components.